We recently changed this dollar store shoe organizer into a recipe card holder, restaurant menu holder, and back to school organizer! I love that it fits right behind the door between the laundry room and kitchen, way out of my sight! I was so tired of little things piled up everywhere, I just had to do something! I like to be organized. It helps to keep my brain from spilling out when there is a place for everything, A nice place. So, we collected all of the loose pencils, pens, erasers, tissue packs, lip balms, Box Tops, made some hand sanitizers, filled with the kid's favorite mints, sugar free gum, anti bacterial wipes, and eye glass cleaner. Each has their own little pocket and the kids like to call this their, "back to school station". It's a busy place some mornings! Our youngest isn't in school just yet but he has a backpack that he likes to also fill with tiny things. I think I must spend about 10 hours a week, just trying to figure out exactly how to organize some new pile of clutter, a stack of artwork the kids made that day, a new box of extra beauty products that I received that month from my favorite subscription boxes, and even bags of heirloom potatoes! I wake up, have my coffee and sit here trying to figure out, "How can I make this new pile of stuff, look nicer by putting it into something?" At least that's what my husband says I do. He thinks I prance around and try to buy more things to paint more mason jars or to glue some glitter and gems onto some subscription boxes, just so I can fill them up with stuff. Do I? I don't know sometimes! 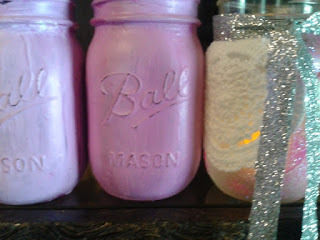 But, either way, I do love to organize and I can't get enough of the cute mason jar fad that has been all the rage! Maybe? Well, to be fair, I have 4 children. One is grown and on her own but between the 3 who still live here? They have enough school work, papers, arts, crafts, supplies, books, clothes, and for some reason, a lot of this ends up in my kitchen! I have bags that I date and tie up each month of that month's coloring pages, paper towels with love notes that they make for me, handmade cards, A+ papers. funny sentences they wrote at school. I keep almost everything they make, ok, everything they make. School pages? I've learned to only keep the important things. But, these are all nicely kept in bags and then placed in bins up in my office. Who doesn't love these adorable little totes? 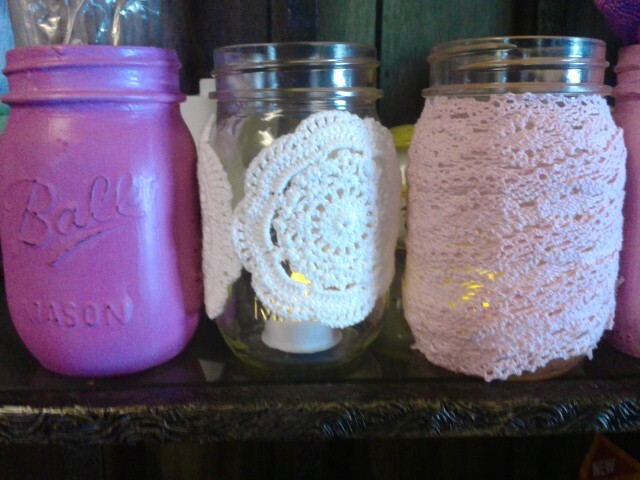 I like these for separating candles, wax tarts, cleansing grains, lip balms, anything that I make in my secret hideaway, my other kitchen! I make scented oils and I found that these red boxes from my Allure Beauty Box, are probably the strongest ones yet! They are also perfect to fit a few rows of oils in and I can label the scents with these fancy chalkboard paint markers I found! Some of the other boxes are used for leftover candle wicks, labels, ribbons, and any other odds and ends I accumulate. Waste not, want not, right? We try to upcycle as often as we can. Yes, even the trimmed wicks from candles I make. Do you know what else these beauty boxes are good for? Along with the beauty boxes that fill our mailbox each month, we subscribe to a few craft subscription boxes. If you have little ones, you just have to check these dandy little subscription services out! The kids just love them and lucky for me, we seem to always have scraps and buttons leftover. Of course we can't throw these little gems away! We have a few boxes where we store the leftovers for a rainy (or a snowy) day! Besides the perfect size of these boxes, they stack nice, they have lids, they are usually either plain so we can design them however our little hearts desire, or they come in a gorgeous shade of red and are beautiful just the way they are! (Yes, the picture above is really a picture of some of these smaller boxes, inside a bigger box!) Because, after acquiring so many of these boxes, it is time to organize those boxes. What we need are labels! Maybe more boxes to fit them in would be nice? I don't know. I am kinda going towards labeling the boxes so the kids know exactly what they are looking for and we can arrange them by type. How do you organize a busy home with children? Especially all of their art supplies and tiny Lego guys? Dressing up for Halloween parties and trick or treat is one of the best times to let your kid's imaginations shine! I always love to hear the ideas my little ones have each year and it's especially fun to create our own costumes! This year, my 8 year old had to dress up 4 days straight! This has been quite the hectic week but a fun one indeed! We had a parade on Tuesday and her Girl Scout troop was in that, then a Halloween party at her Girl Scouts meeting on Wednesday, trick or treat on Thursday and today, a Halloween party at school. Of course, she just had to be something different each day! The boys got to dress up last night for trick or treat and today again so, they were all able to let their imaginations run wild! Along with fall and Halloween, comes cold and flu season. 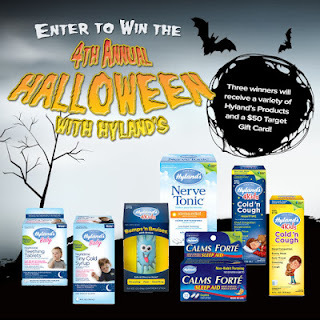 What better way to stock up then to enter to win the newest Hylands contest?! 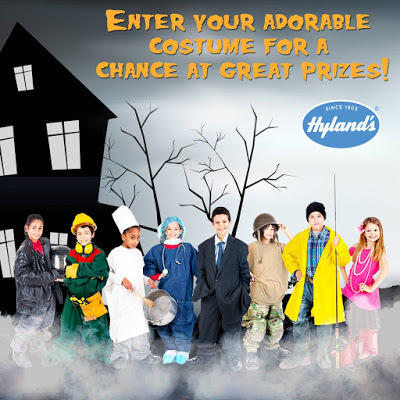 Hylands is running their 4th annual Halloween Costume Contest and 3 lucky winners will receive a prize package filled with Hylands products and a $50 Target gift card! Al you have to do is snap the cutest, most creative pictures you can, of your kids in their Halloween costumes and enter here! 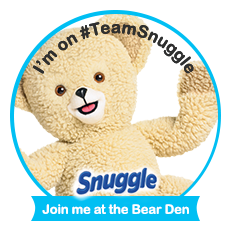 The Contest begins at 9:01 AM Pacific Time (PT) on October 27, 2015 and ends at 11:59 PM PT on November 3, 2015. You can also hashtag #HylandsHalloweenCostumeContest and share your pictures on Twitter and Instagram! And a $50 Target gift card. I'm sure most of you already have some adorable and scary pictures of your fabulous costumes, so why not enter them? Or if you haven't had trick or treat yet, get all dressed up and think of the most clever pose and snap those pictures! Don't forget to come back and let us know if you were one of the lucky winners!! This is the bottom shelf of my little cabinet in the bathroom where I put my most used and most fabulous products that I absolutely just have to have! This is different then the bins and although there is a cute, little cabinet directly above this shelf, yes, it's completely filled with so many things. Mostly, Lowen's Skin Care, samples and full size products I found on Revescent and a bunch of mismatched products that have proven to work, and work very well. I think of the shelf part of this cabinet as a "Star of the Week" remember having that when you were a kid in school? Or maybe your children have this fun week when everything is about them and they get to bring in their most prized possessions. When a beauty product gets put on this shelf, I will relentlessly read everything there is to read during their special time when they get to pop out from behind the doors above and hang out with my all time favorite, Paris Hilton perfume. (Yes, I am a fan and I still have her books on my, "want list" and yes, I will defend her to the bitter end!) Really though, I use Paris Hilton's perfumes regularly and this one is used so often it is just always there for quick and easy access. Retinol is a derivative of vitamin A. It is the #1 most recommended cosmetic age fighting ingredient, by dermatologists. Retinol works to unclog pores, boost collagen to reduce fine lines and speed cell turnover to even out discolorations and smooth your skin. RoC Deep Wrinkle Cream contains an Alpha Hydroxy Acid (AHA) that may increase your skin's sensitivity to the sun and particularly the possibility of sunburn. You may experience mild tingling or redness during use. This is normal and should be temporary until your skin adjusts. Ok, that doesn't seem as scary as I thought. After another day of checking websites and reviews posted on other websites. Not just on the RoC website. I found similar information and then I just jumped right in! I tried RoC's Deep Wrinkle Night Cream for a few weeks and yes, I am content and excited for the near future with this product. I can not honestly say that I noticed a HUGE difference in wrinkles, but, again, it has only been a couple of weeks. What have I noticed so far? I noticed that yes, yes, indeed I will experience tingling and redness, but only for a couple of days, I had not 1 reaction that I would consider moderate or severe and the tingling doesn't last long at all. Just a few minutes for me. I also realized that while I may not have noticed a bunch of wrinkles disappearing overnight, I did notice a slight improvement during the first week with my skin tone. It does appear to be more even and smoother but again, it is taking time, but I did expect that! I paired this wrinkle cream up with RoC Retinol Correxion Deep Wrinkle Serum. 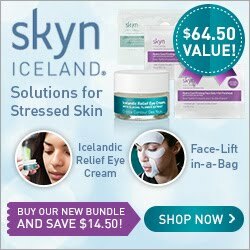 This product notes that after 12 weeks of use, deep wrinkles are visibly reduced. After 4 weeks, skin is more radiant, fine lines are smoothed and skin firmness is improved. 8 weeks, you should see: crow's feet are visibly reduced, and discoloration is diminished. I will come back to update after my 4, 8, or 12 week mark and let you know of my progress! I should be documenting this with photos so maybe, I should take a break, come back and document everything from the beginning! But, I can tell you that Retinol is NOT scary. Maybe if you have super sensitive skin even though, I do have sensitive skin but it isn't as bad as some I am sure. I like the way my skin feels after using these products. Not to tight, not itchy, not greasy, but just right. Again, I haven't been using RoC long enough to say, "OMG YES! My wrinkles disappeared! Woohoo!!" But, I do know that I am keeping these products in my arsenal. Do you use Retinol? I would love to read your comments, suggestions, tips, experiences! One thing I learned was that it's best to add just one Retinol product during the day, along with a product with SPF protection. Choose a serum or night cream with Retinol for nighttime when your skin is in repair mode. Buying gifts for your boyfriend or hubby can be a tough task—especially if he’s the type of guy who always says he doesn’t need anything. If you’re on the hunt for gift ideas for your man, we’ve got the perfect ideas for him no matter the occasion. Whether he’s a beer lover or a sports fanatic, you’ll surprise him with the best gift he’s ever received. Give your guy a gift that keeps on giving with a subscription tailored to his hobbies or likes. If he’s a fella who loves dressing well, take a look at the Trunk Club, a service that will send him a box of designer duds and accessories each month. If he’s more of a comic book lover, sign him up for a subscription to the Comic Block, which delivers a package containing three comics, a t-shirt, and a collectible item. Whatever his hobbies are, you’ll find a subscription box he’ll love at MySubscriptionAddiction.com. If your guy enjoys vaping, get him some NJOY vape kits. They offer a variety of price points and packages, so you can make sure he gets the tastes and devices he likes best. There’s awesome flavors like vanilla bean and peach tea that will satisfy his sweet tooth and the smokeless devices will keep your home smelling fresh. If your fella is a master of the kitchen, give him practical items that will help him whip up his favorite creations, but put a personalized spin on them. You can get a cutting board with his initials carved into it, a personalized cookbook filled with all his best recipes and creations, or a lazy Susan with the family name emblazoned on the front—the more practical for his specific kitchen needs, the better. If your guy loves trying new craft beers, you’ve got some options for a gift he will love. Book a tour at a local brewery he loves, or plan a big trip to his favorite brewer so he can see exactly how his favorite beverage gets made. If you’re not looking to splurge, check out an awesome brew your own beer kit. He’ll immediately get to experimenting in the kitchen, and you’ll love seeing the pride on his face when he completes his first batch. Whether you buy him an IPA kit or a pale ale package, he’s going to love the thought behind it and receive a practical gift he won’t be able to wait to use. If you can’t tear the remote away from his tight grip on any day there’s a game on, and you know the names of his favorite players better than the names of his family members, there’s a chance you’ve got a sports fanatic on your hands. This is good in terms of finding the perfect present! If he doesn’t already have it, get the jersey of his favorite player—buy one for yourself if you can handle the cost. If you’d like to splurge a little more, get him tickets to a sporting event you know he’ll love and wear said jerseys into the stadium. You’ll definitely get points for being the coolest girlfriend or wife ever. You can really knock his socks off this year by taking him on a surprise trip he won’t see coming. Whether it’s a flight to his hometown, or a drive to a city two hours away, the surprise element will be the thing that really blows his mind. Have his bags packed for him when he gets home from work, make sure the kids are safely at grandma’s house or with a trusted babysitter for the weekend, and hop in the car for a trip in which you pull out all the stops. Instead of getting something material, buy him an experience you know he’s always wanted to try. Whether it’s a lesson with a golfing pro, a ride in a NASCAR racer, or a skydiving adventure, he’s sure to be impressed and forever remember the day. If you’re on the hunt for the best gift for your guy, whether it’s for Christmas, his birthday, or your anniversary, these gift ideas are sure to please. Make it personal and heartfelt for a package he’ll never expect, but will always cherish. 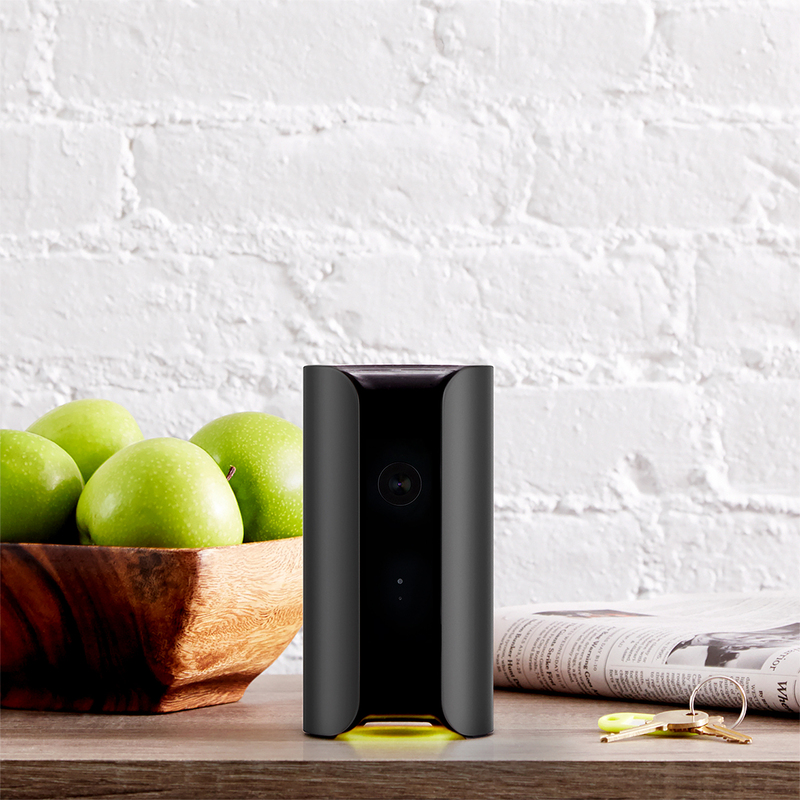 We recently had the opportunity to try a Canary home security system from Best Buy. The first thing that jumped out at me as being possibly the best part of the deal? No monthly fees to run your Canary home security system! (There are other options, but I am happy with what we get with the basic package.) You can opt for more tags, more cloud storage, it all depends on exactly what you will be using it for. Even with the prices of a plan, it's unbeatable! For example, $4.99 per month for 2 day timeline, 25 bookmarks, and unlimited video downloads. Every Canary comes with a free starter package. This includes: access to the last 12 hours worth of events and up to 5 bookmarked videos. The Canary system is so simple to set up, straight from the box, that even my 5 year old would be able to do this. Granted, he is technically inclined, thanks to video games, my cell phone, and my laptop) but, this is something you could be comfortable with when purchasing for an elderly family member or neighbor or anybody who's technical skills stop at replacing a remote control battery. Out of the box, you have a few minutes to set up! You will be impressed with what this sleek, indoor, wireless, high definition, security system has to offer. 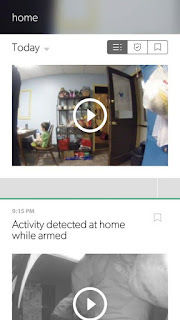 What is quite impressive with the Canary, is Since the March 2015 launch, nearly 75 known burglaries, home invasions, caretaker abuse and other emergency situations have been captured by Canary, resulting in multiple arrests. Before I share all of the sweet specs of what I personally consider, something that every household should have, I have to admit, i am a weather nerd. I not only love weather but I also love technology. The Canary will actually give you the temperature, humidity level and let you know if the air quality in your home is safe. From virtually anywhere. Because, yes, you just install an app in your Smartphone and you can see what is happening from wherever you are! 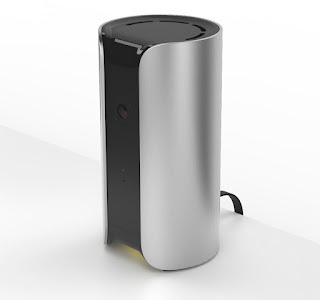 The Canary Indoor Wireless High-Definition All-In-One Home Security device helps keep your home safe and sound with motion detection notifications, a 90+ dB siren and HomeHealth Technology. It learns the cadence of your home so it can send you accurate notifications with fewer false alarms triggered by pets or other regular activity in your house. · Gives you a complete picture of what’s going on at home, it puts you in control of how to react when something goes wrong. So, the app shows color video and does have a slight time lapse, (which is understandable and expected and not a problem. ), however, we seemed to notice it jump from color to black and white at times and we couldn't figure out why. The Netgear Nighthawk DST Router we received for this review, is absolutely flawless! And by flawless, I mean, just total brilliance! I can't even find the words, I am totally speechless! Ok, more on that in a bit. So, our 12 year old brought his Xbox upstairs for a couple of days and we started to see in the video on the app, that when he would turn it off and walk away, it would flip instantly back to color! Is it a problem? Nope. Just another reason to turn off the Xbox and put it into hiding until the kids earn more video game time. Besides, black and white is crisp and clean enough to see what is happening. One thing I think we will try is, putting our Canary upstairs for a few hours one night, just to see what kind of creepy things it can pick up. Halloween is und the corner and this would make a real nice ghost hunting camera! This router, this gorgeous piece of heaven that dropped down onto my doorstep one sunny afternoon. I was entranced with the Netgear Nighthawk DST Router and DST Adapter's striking beauty. Did you know that the average household has 7 connected devices? This high performance router was built to support up to 10 devices. Did you ever have slow wifi, dropped calls or dead zones? This is most likely due to putting a strain on your network, especially your router. We have had such a fantastic time with this router, i can't believe I lived back in the cave days all of this time! There are no dead zones anymore and we can have all of our devices connected and talk about speed!! I will no longer accept anything less. The Netgear Nighthawk DST Router is a brand new router that was developed exclusively between Netgear and Best Buy, to help provide consumers with an easy, all in one solution to support their home's connected devices. You get one DST (Dead Spot Terminator) adapter with your new router and all you have to do is plug it into a section of your house that gets little or no signal. If you have additional dead zones, you can purchase additional DST adapters. Are you one of those people who doesn't subscribe to cable or satellite, due to the extremely high prices? Or maybe you are like me and rely on watching tv via Youtube on your phone because you are stuck in the kitchen, blogging, cooking, cleaning, and serving a ridiculous amount of lunches, after school snacks, and more snacks? (It gets so tiring I just made my office right here at the kitchen table and used a leftover chair to stack my agendas and binders.) I like to watch a few different television shows and I have to catch my Pittsburgh Penguins at least sometimes. But, living in the kitchen makes this hard and when I do get to experience live tv, I can't hardly contain myself. I have to make sure somebody isn't playing a trick on me and most of the time, it is a trick. My husband comes in the living room and wants to watch his recorded zombie soap opera or somebody needs help with homework, a bowl of cereal, dinner, and here I am. Best Buy offers a quick and painless way for all of us moms who have to hunker down in their kitchens and rely on Youtube or checking the Penguin's Facebook page for scores and checking the threads for updates. Sling TV offers live television from popular channels, including ESPN, HGTV, AMC, TNT and more! The base package costs just $20 per month. You can add premium channels such as, HBO or get extra entertainment packages for additional fees. You can sign up for a free 7 day trial of Sling TV online. Where can you watch Sling TV? Well, anywhere yo would like! I can watch it in my kitchen, on my porch, on a long drive, or even let the kids watch it on my phone on busy errand days. There are no hidden fees, no contracts, and Sling TV is compatible on the following devices: Smartphones, Xbox One, tablets, laptops, computers, Tv and video players, including Amazon Fire and Roku. (Gosh, I might even tell my husband about this secret so he can watch his shows when he's stuck in his truck overnight!) Then maybe I won't have to sit through zombie and ghost shows when he comes home each week!! If you do choose to check out Sling TV, you may be interested in this promotion through Best Buy. There is also a $50 off compatible device offer – available with 3 months of prepaid Sling TV service; this offer is available in Best Buy stores only, and not online; the $50 discount is given in the form of a Best Buy store coupon. I'll be getting back to you about this router and Canary. We plan on purchasing a few more so we can get our whole house covered. I will also update on any ghosts we can spot on the camera! Fall is my favorite time of year! Besides Halloween being my favorite holiday, I love the cooler weather, sweatshirts, and sweaters and the crisp, clean scents that fall brings. Living in Pennsylvania, we have nothing but trees and leaves. People come from all over just to visit and watch the leaves change each year and we get to see this first hand, from our porch! Along with the cooler weather, comes the excitement for snow and lots of anticipated snow days!! (Yes, I have to admit, I love snow days. Even if this means I have to go crazy with all of the kids home from school!) We have a lot of fun planning snow day activities, even crafts and DIY for sleepovers, craft parties, girl's night out, and then there is the food!! One of the most fun things to do with essential oils is to experiment with them and create different recipes for virtually anything and everything. I use them to make my own fabric refreshers, carpet fresh, hand scrubs, body scrubs, body butters, the list just goes on and on and on! There are so many ways that essential oils can help in our lives. 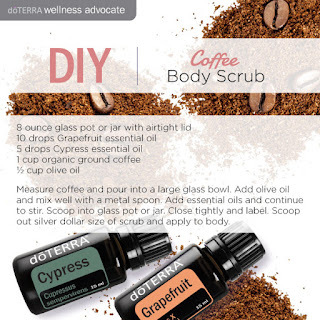 This is a quick and easy recipe to make and you can use different essential oils, just change them to your liking! 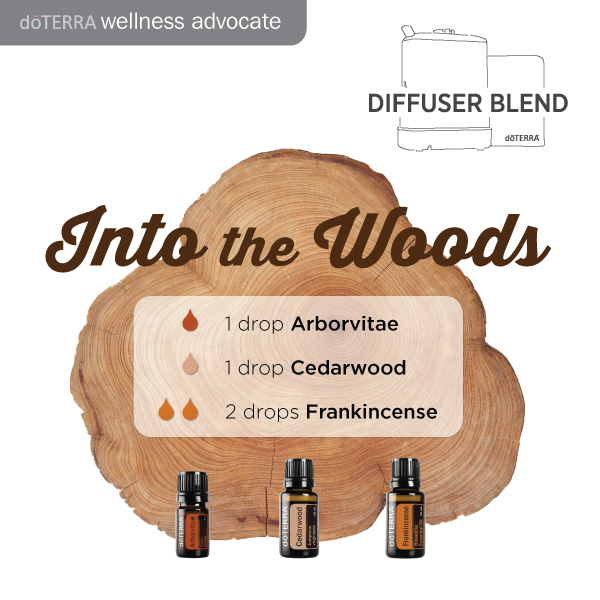 It's best to know and understand what each oil is beneficial for before deciding to just dump a bunch of oils together! But, depending on your skin type, skin issues, you can find an oil to fit your needs. Plus, they always smell so fresh and pleasant! We use doTERRA oils at our house, but there are so many different brands out there, it is easy to try different kinds and choose your own favorite! If you happen to ever have questions regarding doTERRA, I can definitely help! But, whichever brand or brands you choose, you should leave a comment and let me know how you use essential oils and enter our giveaway!! e.l.f Cosmetics has some of my favorite beauty products around! 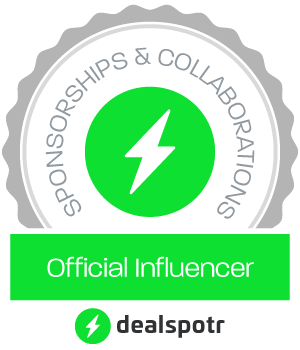 I especially love their free gifts, deals, and promos and no, they don't skimp when it comes to freebies! They also have some of the most super sales available when it comes to beauty products! e.l.f Cosmetics is offering a FREE Mystery Gift with a $15 purchase and you can check out some of the cutest Halloween ideas for your parties, trick or treat and even if you aren't planning on dressing up, you have to see what is included in these sets!! They were originally $10 but now are half off and include quite a few items that make these very well worth the money! e.l.f. Halloween Kits just $5! Get boo-tiful at scary-good savings! For a limited time only our Halloween kits are just $5 ($8 - $12 value). Offer Valid 10/9-10/19. Get on-the-dot style with Stella & Dot's new Icon-convertible watch in black, rose gold, and stone. You'll love the versatility of these new watches, which have arrived just in time to set your style for the pre-holiday season. These gorgeous new watches feature interchangeable bezels (2 included) that easily twist off so you can change-up your look. The mother-of-pearl watch faces come with a stainless steel buckle and the watch is made with high quality Quartz movement to provide accuracy within seconds per month. With Daylight Savings Time right around the corner, these watches have arrived at the perfect time to help you transition from one season to the next. The watch's leather strap can also be removed and replaced with an interchangeable double wrap strap in latte or black (sold separately). Get style on the dot with these new Icon-convertible watches from Stella & Dot. Ever since I found a pin on Pinterest that another blogger shared, of a mason jar craft that was simply gluing some pretty doilies onto the jar and placing an LED tea light inside, I have been buying mason jars and paints by the case. I even have my youngest daughter coming up with ideas on a daily basis for what to do with all of our jars and how to make them pretty! We would be delighted to hear from you! 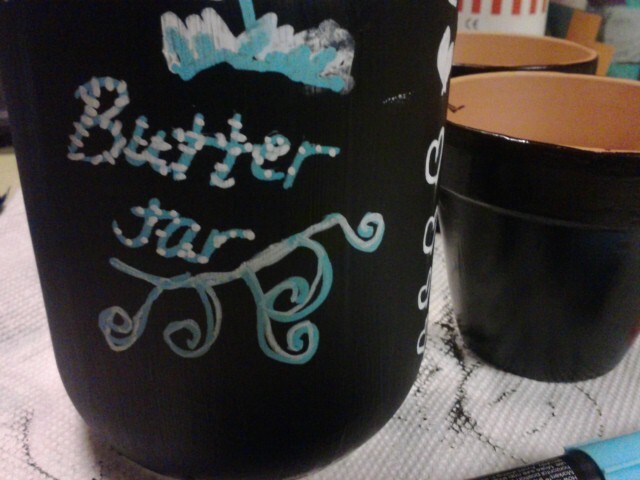 We need suggestions for good paints, the best nail files or sandpaper to file the jars down before and after paint, erasable chalk markers?? Maybe an eraser designed just for chalkboard markers!? If you have a blog post, a pin, anything you would like to share about your own projects or ideas for some mason jar projects, please leave your links!